Table of Contents Buy the novel for your eReader at Amazon! Also available on the Nook and at the iBookstore! Aviation-nut Jo Mack is more than a future A&P mechanic, she's also the lone survivor of a personal hell that has haunted her every step. Ethan Taylor is the latest over-the-top success to come out of Silicon Valley, but now he must face an even bigger challenge-- the scarred past that has come along for the ride. 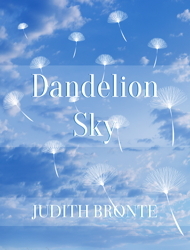 Can the mechanic and the nerd find hope in the clear, dandelion sky? "There is a generation that curseth their father... There is a generation, O how lofty are their eyes! and their eyelids are lifted up." ay had been good to him. April hadn't been so bad either, but May had changed him forever. Ethan Taylor slumped into the easy chair like someone who didn't have a care in the world. Last week a sizable software company founded by yet another college dropout, had bought Ethan's eighth startup, and only true success. On the face of it, it was nothing to get excited about. Until you got to the numbers. Big fat obscene numbers. Used to the everyday obscene, Silicon Valley had shrugged off the acquisition with a yawn, but Ethan wasn't yawning; these numbers were happening to him. For this college dropout, it had been nothing short of life changing. Those in the Valley who paid attention to the "smaller deals" knew something exceptional had happened, and talked of the acquisition with a sense of awe approaching reverence. CEOs, founders, ones with the current rash of the Midas touch, explained it in terms of luck and the perfect storm. That Ethan had been lucky, he knew all too well, but he'd also owned a large percentage of his company, and that had made a world of difference. He'd had very few investors, and even fewer employees with stock options, so that by the time his startup sold, Ethan had walked away with the lion's share. Each day Ethan went about in a daze, pinching himself, hoping he wasn't having the mother of all lucid dreams. He was living the Silicon Valley pipe dream, the dream of outrageous personal wealth, and he was wide-awake. Even with this success, he'd been two years and several months late of making his first five million by the age of thirty-- a promise he'd quietly made to himself before entering community college fifteen years ago. At thirty-two, he'd made more than good. He had proved what he'd wanted to, right from the start. That he wasn't his father. Josephine Mack hated her name. Shortened down to Jo was more bearable; the remaining letters seemed so unnecessary, like an appendage just waiting to be jettisoned. So most people called her Jo. Thirty-year-old Jo Mack zipped up her worn denim jacket and looked out over the darkening horizon of Cielo Grande, Arizona. As much as she hated her name, she hated other things more. Like the beast she carried on her back. No one had seen her come out of the ladies' room at the grubby gas station just now, but if they had, her large camo backpack would've been the first thing they spotted. It was a bulky beast, the way it dragged one shoulder lower than the other. She had a lot to carry. Her pack was jammed with clothes and textbooks, the bare essentials of getting through the day. Makeup had been stuffed into the front zip pocket, but only enough to make her feel like a woman. Lipstick weighed next to nothing compared to those textbooks. Those books were killing her. A few years back Jo had enrolled in community college, and ever since, she'd been pushing her way through, come what may. Grandpa called her his wise child for furthering her education, but he was always saying things like that, things to make her feel smarter, better than she really was. But that was Grandpa. Jo caught herself, and gulped hard. That had been Grandpa. It didn't seem possible that he was no longer with her. It'd happened so fast. His stroke had been sudden and raw and recent. So recent she couldn't think back on that day without tears. Necessity forced Jo back to the present. With Grandpa's death, she'd had to leave their apartment, for his pension had paid their bills while she attended school. Though still going to classes, she was presently without a home. Jo hadn't been "without a home" for long, but she already despised the word homeless. As though she hadn't paid her bills and had been kicked out onto the street. Their landlord had been paid. No one was hunting her for money due him. She wasn't homeless in the truest sense of the word, she had options. There was always Jonah, her lazy, leave-the-trash-on-the-counters, ex-boyfriend. He'd let her use his couch, if she asked him. He had issues though, bigger than the filthiness of his apartment, and Jo knew she'd have to be crawling the sidewalks before she ever took him back. Zach hadn't been so bad, and she could always rely on good old Mike. Any of them would help her. If she asked. While not having a roof over her head stank like few things could, Jo was determined. Grandpa was no longer there, so she had to depend on her own strength even more, and not on someone else's. She'd been lucky so far. She had places to sleep without owing anyone a single thing, and those options were the ones Jo always took. The breeze pushed at her, breaking through her thoughts. Jo leaned into the wind, shut her mind to what hurt, and grinned. Oh, that felt good. The May night felt good on her face. Since the Cielo Grande Mission was most often full, Jo headed for the municipal airport where she hoped to once more find a certain van unlocked. In the few weeks that she'd been without any real place to sleep, that van had been her refuge. Maybe its owner kept it unlocked all the time-- Jo had no idea-- all she knew was that she kept finding its doors unlocked at night. It'd been perfect. She had luck on her side in more ways than one. She wasn't carrying debt, for between Grandpa's pension, and her community college scholarships, she didn't have any student loans. Yet. All she had to do was last out what was left of the semester, and she'd be able to use the coming summer to find steady work, and a place to hang her jacket. A backpack slung over her shoulder, Jo hopped the airport's short chain link fence, then headed for Campbell Aviation's main hangar. She doubted anyone cared that she slept in the van, for she wasn't hurting it in any way. She always left it as she had found it. No one cared. Not wanting to test her theory, Jo tried not to attract attention as she rounded the hangar, and spotted the van parked beside the structure, as always. It was useful that the airport was never as busy at night, for there were few people around to ask why she was there. Taking a look about her, Jo opened the van, got in, and shut the door. Climbing into the back, she made herself at home. Her backpack wasn't as soft as a light feather pillow, but it would do. Jo curled up under her jacket and listened to the sounds of a nearby runway as an aircraft taxied before takeoff. She loved the sounds of the airport, the rush of engines as aircraft lifted into the sky. The controlled power, the freedom of flight was something she'd never been able to find by staying on the ground. Jo closed her eyes, and listened as the plane grabbed some air, and climbed into that great expanse of freedom. With a sigh, she let herself relax and drift off to sleep. That same night, one state over in California, Ethan lounged on his bed with an iPad. He didn't think of the still open window blinds, the cold damp outside his apartment. He gave no thought to the light San Francisco rain that kissed his windowpane, or the fog that had rolled in from the bay. He sat in the dark, save for the shine of his iPad, and the fogged-over glow of streetlights coming from the window. There was no view to speak of, unless you called the hulking apartment building across the street a view. As far as Bay Area rent was concerned, Ethan's was on the low end. Staring at his iPad, he wondered if he should move. It was a mild understatement to say that he could afford to, but he didn't know if he should. The difference between could and should was sometimes small but always important. If he raised his standard of living now, then he might play it safe later, and not gamble on a new startup as fully as he should. And when finances ran low, he'd have to downgrade his lifestyle with everyone watching. Everyone judging. True, his place wasn't much, but he could always use it as unspoken proof that money hadn't changed him. He'd always followed the popular wisdom that investors don't invest in businesses, but in people; proving he could keep money and lifestyle in perspective would prove useful, if he ever wanted venture capital. Ethan looked at his list again, the one he'd made before the acquisition, the list to keep track of all his ideas for the next great adventure. The ideas had looked so hot before, so promising, but now it was like waking up to find a strange woman in his bed, one that had none of the sexiness of the night before. Nothing on his list caught his attention, nothing made him lust for risk in the bright light of day. With his first few startups, he hadn't been brash enough, hadn't taken enough risks to make them work. Now that he'd found glory, Ethan didn't want to grow complacent. Grow afraid. Become fearful of trying again. His success wasn't a week old, and yet he could feel the fear nipping at his heels. His next startup had to be bold; brash enough to match the success he'd had with his last one, or else people would say Midas had lost his touch. He could bootstrap number nine, much the same as he had for number eight, and put down the seed capital himself. He could do that, he could fund his own company. Of course, most of the risk would be on him. If he failed, it could wipe him out, depending on how long he let his company languish. Ethan groaned. He hadn't even decided on number nine, and yet in his mind it was already failing. He sighed, and stared at the dark blank ceiling above him. Five hours later, Ethan was thinking more about the fog than his list. What was it like to be adrift in all that heavy mist, those rolling banks of damp that hugged the ground like ghosts? He stretched out on the bed and yawned. There was no need to make any decisions tonight. He had plenty of time to plan his next move. The next few days Ethan found it increasingly difficult to focus on work. He had no pressing need to make money, for he had more than enough already sitting in his bank account. So long as he didn't start planning any trips to the moon, the payout from startup number eight could last him his entire life. He needed goals, something new and exciting that was worth the risk. He didn't want rest. Rest had a lazy sound to it, as though his life was over and there was nothing new to look forward to. He had the money to start something new, so now was the time to act. Before fear got the better of him. There were other ways to escape fear, though. For the next several days Ethan binge-watched TV shows on his iPad, and ignored the ever-mounting number of investment schemes gathering in his inbox. People knew he was flush with cash, and were eager to know if he would use that Midas touch of his on their own startups. Having postponed making any decision on his own ideas, Ethan ignored the clamor of everyone else. Right now it felt good to relax, to let his mind rest and wander without purpose. After all, he had earned it; he'd gone without sleep, decent food, and any meaningful social life to reach this goal. He'd been the proverbial dog chasing the car for far too long, and now that he had the car, he was going to enjoy it. And enjoy it, he did. A week, and a few nights out on the town later, Ethan lie sprawled on his couch, oblivious to the time. Aside from the light pushing through his blinds, he didn't care to know the sun was up, and that the day had long ago started. He only cared about the pounding in his head. The pain was killing him. Last night, he'd gone out with a few buddies to their favorite bar, and they'd partied until forced to go home. They had work the next day, but not him. Ethan had stayed until dawn. He'd downed so much Scotch whisky, that on the taxi ride home he could've sworn he was speaking Gaelic. Ethan the wise, Ethan the fearless. Ethan the falling down drunk. One night. That was all. So he'd gotten stupid drunk one night. He was on vacation, he could afford to let go a little. Though his life depended on getting the bottle of aspirin in the bathroom cabinet, Ethan stayed where he was. If he was going to die, he wanted it to be on the couch, and not on the bathroom floor while trying to reach the stupid medicine cabinet. Better to die on the stupid couch. "Lazy." He heard himself say the word, and disgust had him struggling to his feet. His head nearly fell off when the phone sounded. Cursing the day he'd ever laid eyes on the bar down the street, Ethan answered the call before his head exploded from the ringtone. "Yeah?" Ethan asked, squinting against the lightsaber aimed at him from the window. The pain was cutting him in two. "What do you want?" Ethan glanced at the screen, and groaned. It was his older brother, Matty. The guy lived in Las Cruces, New Mexico, in a noisy family that included their teenaged half brothers, Ryan, and Dylan. Ethan hadn't heard from Matty in who knew how long, and he was calling now? During a hangover the size of Texas? Trying to clear his mind, Ethan eased back down onto the couch and fought to remember whether or not he'd shared his big news with his family. He had, hadn't he? Ethan decided to play it safe, and admit to nothing. "Hey," Matty said, as a dog lost its mind in the background, "if this is a bad time for you, I could call back later. I don't want to interrupt anything important." "No, it's all right." Ethan rubbed a hand over his eyes. He could do this. "We know you're busy," Matty apologized, "but we thought we'd see if you're still thinking about meeting us in Arizona this summer. Everyone is coming." Ethan squeezed his eyes shut. "I, uh, I guess I am too." Matty paused. "You guess you're still thinking about it, or you guess you're meeting us in Arizona?" "We're going to Arizona because?" "Because that's where Aiden and Shannon live." "They're still in Phoenix? I thought they moved." Ethan tried to rub out the pounding going on in his head. At least the mutt had stopped yapping. "They did move-- a few years ago. From Phoenix, to Cielo Grande. Meaning they're still in Arizona." Ethan hadn't remembered, and it was fast becoming obvious to them both that he'd completely forgotten the entire thing, family gathering included. "I'm kind of busy," Ethan heard himself say. "I don't know if I can make it." "It's okay," Matty said hurriedly, "we understand you have a lot going on. Selling your startup has got to be keeping you up at night. Just thought it was worth a shot, I guess. Before I let you go, how've you been doing? How's business?" Ethan silently cursed his bad luck. "I'm doing great-- couldn't be better." "Yeah, it's been crazy around here lately. So much has been happening in such a short amount of time. I've sold my startup." "You have? That's great, Ethan. I'm proud of you." "Thanks." Ethan wished he'd bothered to get that aspirin. His head was killing him, and so was this conversation. "I meant to call you after it happened-- in fact, I thought I already had." "You've got a lot on your plate right now, so I understand. I'm really happy for you, buddy. That's great news. You must be exhausted with relief." Ethan looked up at the ceiling. "A few weeks ago." "Oh." Matty went quiet, and for an awful moment the silence screamed so loudly it hurt. "That's great, I know you were working hard to make that happen." "It's been crazy," Ethan said again. He tried to rub away the slamming between his eyes, but to no avail. "Maybe I could come. I might have some free time this summer, but I can't make any promises. I mean, I would if I could. It's just that I've been so busy." "This summer would be great, just great." Matty sure was using that word a lot. "The kids would love to see you, they've been looking forward to this vacation for months. Aiden and Shannon have, as well." "That's great." Ethan looked up at the ceiling. Now he was doing it too. "I couldn't help noticing," Matty said, "but your voice sounds a little off. Are you feeling all right?" "Because you sound a little--"
"Had a long night, that's all." Ethan fought the urge to push back, to justify himself. "So this will be at your in-laws' house?" Ethan asked, trying to change the subject. "Will they have enough room for us? Because we tend to be noisy and many." A smile sounded in Matty's voice. "Aiden said he has a spare room with your name on it. All you have to do is show up." "When, exactly, am I supposed to show up?" "We'll be in Cielo Grande on the eighth of next month. It'll be a five-hour drive for us-- longer, when you count meals and bathroom breaks. Come if you can, but if you can't, we'll understand." "So," Matty sounded determined to be upbeat, "how much did you get for your company?" Despite his hangover, Ethan smiled. "The figure is in the neighborhood of seven hundred." He paused before adding, "Million." "Would I wisecrack about a thing like that?" Ethan could've sworn he heard Matty's gulp. "How much of that is yours?" "You mean after employees, lawyers, and taxes?" Ethan paused, unsure how much he should say. Matty, and Matty's wife, Beth, had been the rich ones in the past, but Ethan had outdone them by a landslide. Ethan didn't want to come off like he was bragging too much. "I came out all right," Ethan said with a shrug. "I can't complain." "It's in the tens of millions, isn't it?" Silence. Matty went absolutely silent as he took that in, and Ethan could only assume he'd stunned his brother. That Matty's jaw was on the floor right now. He'd meant hundreds, as in hundreds of... yeah. "I know what you're thinking," Ethan smiled. "Not bad for a college dropout, right?" "Matty, are you still there?" "Yeah. Yeah, I'm here. I don't know what to say." Ethan grinned. "I could hardly believe it myself until the deal had closed." "Did this by any chance make it on the evening news?" Matty asked. "I don't know. Did it?" "No idea," Matty said, and this time the shock in his brother's voice was unmistakable. Ethan shrugged. "Honestly, I've been interviewed so many times I haven't kept track. It's been--"
"-- crazy," Matty finished, and Ethan could only agree. While Matty sorted through his shock, Ethan carried the conversation into the bathroom for some aspirin. He needed those painkillers. Desperately. "You've asked me that already," Ethan pointed out. He tossed back a couple aspirin, washed them down while Matty's voice went serious. "I mean it. I'm being literal here. How have you been doing? Are you all right?" "Well, I didn't search out a drug dealer and shoot up meth, if that's what you're asking." "Ethan, this is big. So very big." "I know, this is my life's ambition we're talking about. I've been working like a dog to make this happen, and it finally has. Don't you get it, Matty? I've finally made it. I'm here, and the view is awesome." "I'm happy for you, I really am. Just don't let the altitude go to your head," Matty pleaded. "I won't. It hasn't." Ethan tried to ignore the fear in his brother's voice. "I told you all this would pay off." "You did, and I'll be the first to admit it. I'm proud of you-- we all are, or will be, once I tell Beth and the kids." Matty sucked in a deep deep breath, and Ethan smiled. "I'd like to get this straight," Matty asked. "Your last startup was the business-networking thing? That app you told us about?" "You're referring to my sixth startup. My last one utilized the communications backend that was created while trying to make that startup work. Only that one failed. This time I got it right." "You know I'm no good at understanding you when you speak," Matty said. "Just cut to the chase." "I've developed a communications application that can be dovetailed into other products, and Intrepid, a software company here in the Valley, bought it to use in their application. That's the oversimplified version." "I can break it down for you, if you like, and give you a blow by blow of how it all came together. It really was awesome." "Maybe another time," Matty said. "You don't have to sell me on it any more-- you've proven you knew what you were doing." They were quiet for a moment, and Ethan went to sit on the couch and wait for the aspirin to kick in. He closed his eyes as Matty's voice sounded in the background in long muffles Ethan couldn't make out. Matty was probably telling Beth. This was a weekday, a late morning, and they were probably at work at Beth's Garden Nursery, the business they owned and ran in Las Cruces. Ethan rubbed his temple. The dog was at it again. They needed to train that thing to stop barking while it was with them at the nursery. Knowing Beth, she still doted on that mutt with dog treats fresh from the pet store bakery. Ethan sighed. Should he meet them in Arizona this summer? Did he have a good enough excuse to stay away? Though not exactly pressed for time at this very moment, Ethan was sure he could come off as busy. It wouldn't be hard. "I just told Beth, and she said to tell you that she's so very proud of you. That she knew you had it in you all along." "So back to this summer," Matty resumed. "Do you think you'll come?" "It'd be good to see you, Ethan. It's been a while." Ethan frowned. "You saw me the last time we FaceTimed... whenever... that... was. I remember doing it." A sigh sounded on the other end of the phone. "You've been in my prayers. You always have been, but especially now." Ethan thanked him, and checked the time. "I hate to run, but I really need to get going." "Come if you can," Matty said, and with that parting shot, Matty hung up. Ethan sighed. No one could guilt-trip him like his older brother. Stretching out on the couch, Ethan realized his headache had eased off to a dull roar. About time. He wondered if he could get out of it, and stay in San Francisco where he could kick back and enjoy his summer without the hassle of dealing with relatives. He could stay. He could. He'd be a jerk if he did, but hey, he'd never claimed he wasn't. He could live with that. He just happened to have other priorities. His family would get over it, and if they didn't, he could live with that, too. All things considered though, he wasn't that bad, he wasn't as bad as his father. Now there was a jerk, a total and complete mess up. Ethan would have to sink pretty far to reach his father's sentenced-to-life-in-prison status. And his mom? Ethan never talked of her, or thought of her if he could absolutely help it. When he couldn't, he drowned himself in whisky until it all was a manageable slushy blur. Now that he had serious money the liquor was better, but it didn't change the fact that he loathed his parents. It was just as well his mom had off'd herself; suicide had been too good for her. Matty didn't have to worry about drug abuse, that Ethan would resort to all that. Meth had been Matty's thing, not Ethan's. Just because Matty had cleaned himself up, turned his life around, didn't mean he could still boss Ethan the way he wanted though. Ethan was his own man, able to make his own decisions. He could do what he wanted. Calls from home often put Ethan in a bad mood. He was probably asking for trouble if he turned up in Cielo Grande, at Matty's parents-in-laws' house. The invitation had been a half-baked idea, likely brought on by a sense of duty. We're going on a family vacation? We should invite Ethan. We wouldn't be Taylors and Campbells, if we didn't. Ethan could get out of it. He knew he could, and the knowledge of it gave him so much relief he went to bed. Even though it was morning. He checked the iPhone. Make that early afternoon. Face half-buried in the pillow, Ethan tried to turn off his mind. It didn't help that the hangover was lifting, for it only served to sharpen his thoughts. Where was dull thinking and poor judgment when he needed it? His family had to realize he was busy. He'd just done a big thing, probably bigger than any of them would ever do in their entire lifetimes. He just couldn't take off. He had responsibilities. Though none came to mind, he was sure they existed. For the next two hours, Ethan stared at the walls of his room, willing himself to sleep. Each time he closed his eyes, he saw Matty, their younger sister Cassie, their younger brothers Ryan, and Dylan; his nephew, Peter, and that fleabag they called a dog. He could even see his sister-in-law's disappointed face as she told Matty that he'd done all he could. Matty couldn't help that his brother lived in San Francisco. As if that made her point for her. Tired and finding no sleep, Ethan picked up his smartphone and looked at the calendar. June eighth was a little over two weeks from now. Did they really expect him to drop everything and come running on such short notice? But then, Matty had told him about the vacation a few months ago, and Ethan had promised to think about it. Ethan had promised. Groaning, Ethan started making plans for this doomed-from-the-start family get-together. He couldn't remember how long it was supposed to last, but wasn't about to call Matty to find out. Shaking his head, Ethan made up his mind to ride it out however long the visit lasted. He'd lost the right to complain. They could vacation in Death Valley, and he'd have to show up. When Ethan called Matty that night, his brother sounded hopeful, more hopeful than Ethan felt. He hadn't seen his family in years-- at least, not in the physical sense, and wasn't sure what to expect. He'd traded calls with Cassie, and Ryan, the occasional email from Dylan, but it wasn't the same as actually being there. He had his own life and they had theirs. He respected that. Though he had accepted out of obligation, and a generous heaping of guilt, Ethan would go and see what the summer had to offer. The very next day in Arizona, the last class of the semester ended at Cielo Grande's community college. Students talked of what they would be doing over the summer, and their plans, or lack of them. Some would be taking summer classes, others were taking the time off for vacation, or work, while the envied ones had internships with potential future employers. For Jo, there would be no vacation, no summer classes, and no internships. Only hard work at whatever would pay the rent. She would scrub floors, clean toilets; so long as she could face herself in the mirror the next day, no job would be beneath her, no work too hard. This summer certainly wouldn't be something she'd want to put on her curriculum vitae, the all-important CV. Scrubbed: endless urinals. She sighed. She didn't care, not now. Walking away from campus, Jo's heart felt heavier than the backpack she carried. Her finals were over, the semester was truly at an end. She'd been working blindly for this moment, and now that it came, she felt numb. She didn't have the necessity to study nonstop, she could raise her head and find a chance to breathe. She could think long and hard about other things. With a gulp, Jo waited for it to come-- the tears, the bottomless grief. By all rights, she should be on her knees sobbing her eyes out. Instead, Jo felt drained to her core. It didn't matter that she'd likely get a 4.0 for the semester, or that she could finally see FAA Airframe and Powerplant Certificates at the end of the tunnel. The end of that tunnel was still far off, but progress was still progress, and she celebrated each and every victory with a manicured fist-pump meant only for herself. She enjoyed her classes, the chance to work with heavily expensive power tools, the atmosphere that came with the mechanics of aircraft structural maintenance and repair. The nuts and bolts of how it all worked, the heady knowledge of knowing her skills would one day keep others alive. She loved it all. As much as she enjoyed her classes though, Jo didn't want to become a professional student. She needed to get to the other end of that tunnel, she needed to graduate. Jo caught herself heading toward her old apartment, the one she'd shared with Grandpa, and stopped to think. Her backpack ached her shoulder. Jo hefted it, and started for the gas station where she could clean up in the ladies' room. It was just as well she couldn't go home-- that she no longer had one, for Grandpa wouldn't be there. The place would've been empty except for her, and she didn't want to become a weepy bag of tears with no spine. She didn't want to feel every second go by that Grandpa wasn't there. Jo had accomplished a lot this past semester. She'd done well, but it couldn't change the fact that Grandpa was no longer with her. He couldn't tell her how pleased he was, how much her parents would've been proud of her. There would be no more remembering the old days, when they'd all been happy. There'd be no more stories of how Dad had met Mom at the veterinarian's office, when Dad had carried in his sick cat. Poor tabby had fallen off the roof and landed wrong; the cat suffered a broken leg, but Dad had found his future in the form of the receptionist behind the check-in desk. Legend had it, it'd been love at first sight for the both of them. No one could tell those stories like Grandpa. Jo felt alone. There was nothing left but those stories, those memories. And her life. She still had that. Being alive and breathing was no small thing. Cursing, Jo blinked back the wet gathering in her eyes, and reminded herself how much she hated weeping. Tears never helped a thing, they never brought the dead back to life. She had to focus on living. Jo took a deep cleansing breath. Her main need was to find work, and pulling a red notebook from the backpack, she looked over her prospects. She didn't know if any of them would accommodate her going back to school in August, working part-time while attending classes, but even if they didn't, she could save over the summer, then quit when she had no choice. Jo started at the top of the list, with the most likely to turn her down first. If she was going to be turned away, she'd rather get it over with, so she could stop hoping and wondering. Jo finished washing up at the gas station, taking care to clean her face of makeup so she'd be taken seriously by whatever manly type she would have to impress. Then Jo headed for the municipal airport. It was a desperately long shot, but she had to try. A job in the aviation industry would help her career, further her experience, give her something to put on her CV besides academic survival. Though she didn't have a fixed address to give any would-be employers, she could show the address on her driver's license, explain she was in the process of moving. It was the truth. Kind of. Jo gathered her courage. Though it felt strange to be at the airport in broad daylight, she ignored the van, and walked to the largest of the three hangars that comprised Campbell Aviation. Old-timer Jack Casey looked up from the computer numeric controlled milling machine, or CNC machine, where a new bolt was being fashioned for a sixty-seven-year-old warbird, and looked at the woman who'd just stepped into the hangar with a huge backpack over her shoulder. He wiped his hands as she headed toward him. Poor kid, was his first thought. With a face like hers, love must be hard to come by. She wasn't downright ugly, but it was hard not to stare. 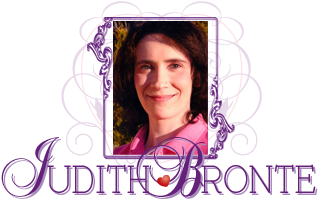 Her head was an upside down triangle with large ears poking out through flat brown hair. With those staring narrow blue eyes, small mouth, and endlessly lanky body, she was the human equivalent of a Siamese cat. Jack nodded to her. "Something I can do for you?" She hefted the backpack to her other shoulder, and Jack noticed the shiny red polish on her nails. "My name's Jo Mack, and I'm here about a job," she said, her voice steady and direct. "I'm attending community college to get an Associate in Applied Science in Aircraft Maintenance Technology degree." Though a mouthful, Jack was familiar with it, for he had that degree, himself. "While I'm studying to get my A&P certificates," she went on, "I need a job that's flexible enough to allow me to attend classes when they start back up in August." She paused. "You wouldn't happen to know of anyplace that'd take me, would you? Before I get my ratings?" Jack stuffed his shop rag into a back pocket, and looked at her. "So you want to be an aircraft mechanic." Hope flickered in those cat's eyes of hers, and Jack couldn't help but smile inwardly. Whoever she was, she was an odd one. "It's not up to me," Jack explained, "but if we did take you on, it would be in a limited capacity. Someone certified, like me, would need to supervise your work and we're not always free. Moments like those, you won't be turning a wrench. You could wind up pushing a broom." There weren't many A and P women that Jack knew of in the industry, but of the ones he'd met, and had worked with, he'd found them to be among the best out there. Maybe they thought they had something to prove, but not to him. Though he considered himself old school, he'd long been won over. That didn't mean this rookie though, this student knew what she was getting herself into by hiring on at Campbell Aviation. "Do you know what this shop is," Jack questioned, "or what we do here?" "You work on aircraft. Old ones." "What you've got here is a restoration shop," Jack said, nodding to the disassembled Bearcat not far from him. "We restore warbirds like that one, back to flying condition. Since they're no longer in production, what parts we can't find or outsource, we have to create for ourselves. It can make for an interesting job." Jack watched to see if she'd flinch. Restoration wasn't for everyone. A body had to have patience for detail, and the stubbornness of a one-eyed mule to follow through and get the job done. Come to think of it, they were also the qualities that made for a good A&P mechanic. Jack talked to her, learned where she was in her studies and had a hunch she was one of them. He took to her instantly. "If you still want a job here," Jack told her, "go and talk to Aiden Campbell, the owner. Tell him Jack said we could use you, if he was agreeable." Jo's face lit up like sunshine punching through clouds. She held out her hand. "Thank you." "Don't thank me yet," Jack smiled as he shook her hand. Since he hadn't already, Jack introduced himself. "I'm one of the managers, as well as the lead mechanic of this outfit." Jack made no comment as he saw the realization fully dawn on her; he was what she was studying to become. "You talk to Aiden, and tell me what he says. I run things around here most of the time, but Aiden's the boss. What he says goes." Jack pointed her toward the office with a nod. "A word of advice," Jack said, turning back to the CNC machine. "When you work with these aircraft, you're touching history. You don't have to love that fact, but you do have to respect it." He glanced back at her, and she nodded. He watched her lanky stride as she walked away. She was an odd bird, all right. Jack checked the CNC machine's progress. So long as Jo was serious about learning her profession, then she'd fit in at Campbell Aviation just fine. Three hangers large, they were one of the best-known operations in North America for warbird restoration and maintenance. Although they also worked on vintage aircraft, military planes were their stock and trade. Aiden had a healthy pride in his company, and so did Jack. They'd been blessed over the years to be in this business, a business they loved with a passion. It'd been a crying shame how Aiden's health kept slowing him down, but he still had the same fire and go-get'em as Jack had remembered twenty years ago, when Jack had first signed on at Campbell Aviation. Over half an hour later, Aiden brought Jo over to the workbench where Jack was busy with Paul Lancaster, one of their aircraft mechanics. Aiden grinned at Jack. "So you want to hire this one?" "Listen to him," Aiden turned to Jo while Paul grinned and watched on. "He always calls me boss when he thinks he's right." "-- knows he's right," Jack put in, "which is most of the time." "Half the time, half the time," Aiden conceded with a laugh, and turned to Jo. "Jack runs this shop like a well-oiled machine-- he has for years. If Jack says we can use you, then it's good enough for me." Aiden nodded to Jack. "Ms. Mack says she can gas weld, but I want you to test her out, see what she knows." Jack nodded. He'd do that after Aiden had finished showing Jo around the shop, the hangars where they worked, and the others that made up the rest of their crew. Of the six who worked at Campbell Aviation, Jo would be the only woman; though she'd be among the youngest, she looked at ease. As though she was among her kind of people-- flight mechanics, aviators, those who loved the great big up there. Yeah, Jack thought as he brought out the welding equipment, she'd fit in just fine. The meet and greet over, Jack passed Jo a dark welding helmet while Aiden watched with interest. Jack took out two lengths of steel from the scrap pile, and arranged them before her. "Let's see what you can do," Jack said, and stepped back to watch. It took her a few moments to settle in, but when she did, she skillfully put down a neat lap joint weld, joining the two overlapping lengths of scrap metal without problem. Jack glanced at his boss, and saw he was pleased. Jo pushed up the face shield on her helmet, and Jack gave her a thumbs up. Not bad for a rookie. Two weeks later on an early June morning, Ethan tried to focus on the gentle music pouring from his car speakers, and not on the tedious drive ahead of him. While most classical music was too cerebral for Ethan's unpracticed ears, he usually favored Frédéric Chopin's solos for the piano. They helped him to relax, while at the same time feeling he wasn't turning into a classical snob, one of those people who could spot Bach in a noisy restaurant. The elevator. Whatever. Like Bach was still alive and well, and living in San Francisco. A little pretension now and then could be a healthy thing, though. Ethan had to admit that flashing an expensive watch in front of a potential client made him feel important, even when the only positive thing about him was that watch. Years ago, he'd sacrificed dearly and had bought one. It had been an outrageous luxury at the time, but now, as the light glinted off his new, hugely Swiss timepiece, Ethan couldn't help but smile when he thought how easily he'd made the purchase. His dad would've killed for a watch like his. Ethan moved onto the Interstate, tried to relax, and focused once more on Chopin's nocturnes. The balmy weather that morning had made Ethan slightly chilled, but now, as he headed ever south, he felt the need to crack open a window and get some air. It was warming up. Ethan cursed himself for being talked into this trip. Who in their right mind would trade the temperate Bay Area for a walk-in-furnace where people baked alive? He had to learn to be more assertive. Ethan rolled his shoulders, focused on Chopin and tried to loosen up. Despite his watching the hours, they piled on the farther he got to Cielo Grande. He stopped to top off his fuel tank, grab a bite of lunch before heading back to the Interstate. Unless his luck somehow changed, he'd reach his destination an hour or so after nightfall. As the scenery grew more and more dry and windblown, Ethan rehearsed his hellos, his how-have-you-beens. He tried to remember what Cassie had been doing, what community college Ryan had been attending. It wasn't as though he didn't care-- he did-- but they had very little to do with his life, or with him. That was plain fact, pure and simple. He wasn't going to whip himself into a frenzy because he got along just fine without them. The shadows grew long, and Ethan fought to stay awake. There was nothing to look at, nothing to get excited over, unless you happened to like ragged mountains with stretches of wide open nothingness, and desert scrub. He'd lived in New Mexico when he was younger, and Texas before that, in the places people lived if they were dirt poor. And they had been poor, oh, how they had been poor. Ethan loved living in the heart of things, areas that weren't forgotten by fiber optic broadband, or decent restaurants. Some lived out in the middle of nowhere as a sign of poverty, others, as a token of wealth. Though the Campbells fell into the latter category, it didn't mean they had lightning fast Internet. Lucky thing for Ethan that he had a solid data plan that would reach out there in the boondocks. By the time Ethan pulled up to the address on his iPhone, the sky had turned shades darker. The sun had gone down, and the stars were rioting above, flashing their lights like an unembarrassed debutante displaying her daddy's wealth. Funny how he'd forgotten how brightly the desert stars could shine. Shutting off the engine, Ethan stared at the impressive adobe in front of him. The Campbell's lived in a sprawling one-story house with curtained windows that glowed against the moonlit desert. It reminded Ethan of Matty and Beth's home in New Mexico, but then, Ethan figured all large adobe homes would remind him of theirs in some way or another. In the past, Ethan sometimes caught himself missing that sprawling monster where for the first time in his teenaged life, he had his own room. With a sigh, Ethan opened his car door as a wedge of light spilled from the house. Matty stepped out. Swallowing the lump in his throat, Ethan got out of the car. He didn't know why he should be so nervous. It was just his brother. "You made it!" Matty came forward, and tugged Ethan into a massively big hug. "The others thought you might get a room for the night, knowing how far you had to drive, but I knew you couldn't stay away. You missed us-- admit it!" "You haven't changed," Ethan smiled as he stepped back, and looked at his brother by the light from the open front door. Though Matty looked more fit than Ethan had ever seen him, Ethan noted with particular pride Matty's new but scuffed cowboy boots. It felt strangely comforting to see those boots on his brother's feet, to see the familiar look of welcome on Matty's face. They hadn't seen each other in person in a very long time, longer than Ethan cared to admit. Seeing Matty brought back old memories-- the times Matty had struggled to pay the rent, the times Matty had fought to keep them fed and safe. Matty had been so young then, only a kid himself, looking after two younger brothers and a little sister. It had been the hardest on Matty when their mom had abandoned her newborn son, but Matty had taken that on, too. Until Matty had married and fallen in love with Beth, he'd shouldered it all, he'd done it all on his own. As Ethan shook his brother's hand, and hugged him once more, Ethan felt strangely comforted and safe. Just like when they'd been kids, and he'd counted on his brother to make things right again. They were brothers, they were family. In that moment, Ethan realized he had just come home. "A friend loveth at all times, and a brother is born for [times of] adversity."